Have you ever noticed, no matter how good your intentions are, there’s always that one person who has to swoop in and rain on your parade or as the Brits would say, piss on your bonfire? Just completely take the wind out of your sails when you’re feeling excited about something? The one person who has to point out the flaw, the failure, the reason why something won’t work or isn’t perfect? Normally I’m one to just let things go on the notion that you can’t please everybody, however lately this has become glaringly more obvious to me, but in a very negative way. It’s brought me down and once again made me feel exasperated by the closed-mindedness and general negativity we’ve contrived today. 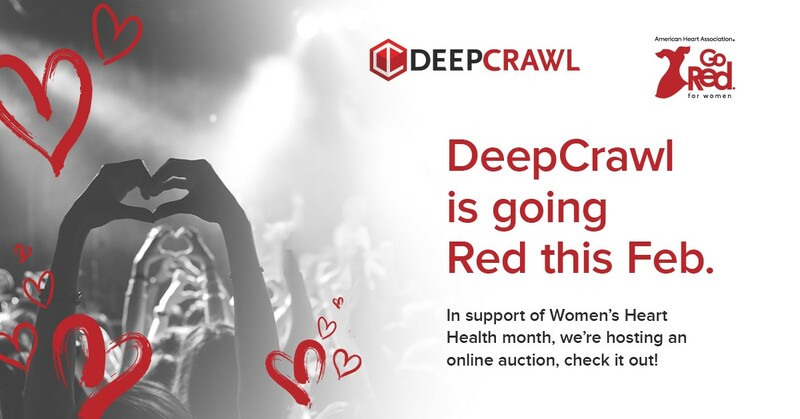 For anyone who follows me or my Marketing team at DeepCrawl, you may have seen that over the last few months we’ve taken a stance to not just promote Corporate Social Responsibility initiatives, but to bake them into our culture and everything we do and stand for as a brand. This is something I am personally passionate about and given all of the negativity lately, giving back and doing some good for others is exactly what humankind needs right now. I’m fortunate enough to have an amazing team of colleagues at DeepCrawl who also feel this way and as a result, we’ve made it our goal to place emphasis on corporate social responsibility campaigns within our marketing strategy and dedicate budget to these campaigns in 2019. We launched this campaign on Valentines Day, February 14th and to date has reached over 100,000 people, raising roughly $5,000 for charity within 24 hours, and there’s still another 4 days to go. Most people who have seen the campaign, have come back with exuberant and positive responses, complimenting us on the campaign and the good work we are trying to do, however in true fashion, there was one! Now, everyone is entitled to their own opinions, right? But it reminded me of the ONE single person who also had an issue with our Christmas corporate social responsibility campaign back in December. 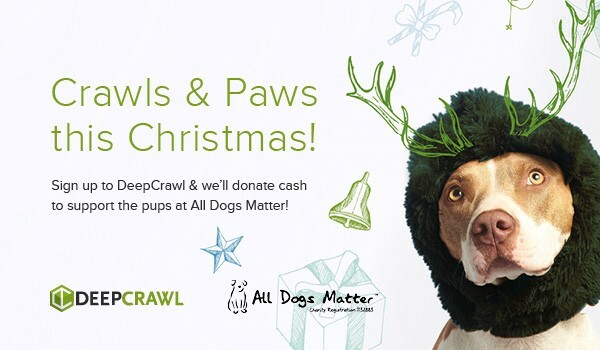 The campaign where we donated 5% of all new DeepCrawl accounts and account upgrades to All Dogs Matter, a rescue and rehoming charity based in London but doing work on a global scale (for the love of god, have you no soul as to oppose a campaign about helping dogs find their forever homes?). These are just two instances that I’ve had to address over the last few months as Marketing Director at DeepCrawl and both have left me thinking, ‘You’ve COMPLETELY missed the point!’ This is about doing some social good with the platform we’ve been given, ensuring that we are giving back to both our industry community but the local community we live and work within. How have we as a society gotten to such a level of negativity and pessimism that we feel compelled to ridicule and tear apart the good work others are trying to do. It’s not about the charity we chose, the way in which we’ve gone about the campaign, the initiative we’ve chosen to support, it’s about the fact that we are doing something positive which is more than what I can say for the ones who have bashed and slammed my campaigns. You might not be passionate about the same things we are or agree with the charities we chose to support, but you should at least respect the fact that we are trying to do some good in this world to help support those in need. So to ‘THE ONE’ — take a hard look in the mirror and ask yourself, what good have you done for society lately before you decide to attack the good work someone else is doing, just because you don’t agree with it. Maybe getting involved and doing some charity work would do you a bit of good and soften your heart to allow for more understanding and empathy toward others! Marketing Director at DeepCrawl. Quirky. Fun. VERY Opinionated. Lives for music, sports, good food and cocktails, definitely cocktails!